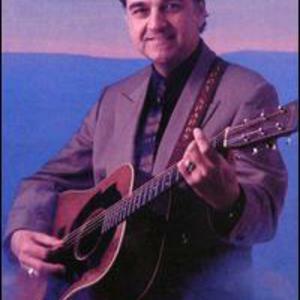 Larry Sparks was born and raised in Lebanon, Ohio, born September 15, 1947. He is a Bluegrass singer and guitarist. He was the winner of the 2004 and 2005 International Bluegrass Music Association Male Vocalist of the Year Award and worked as a rhythm guitarist for Ralph Stanley many, many years ago. He eventually started doing his own solo work and has made dozens of great albums. His voice is authentic and immediately recognizable. Some of his best work has been in the bluegrass-gospel field.. His family originated from Jackson County, Kentucky in the Appalachians. In his childhood, he used to listen to the Grand Ole Opry and to radio station WCKY. He learned to play the guitar when he was quite young influenced by artists such as Wayne Raney, Stanley Brothers, Tommy Sutton and Paul "Moon" Mullins. Although he had played in country music and rock bands while he was in high school, his bluegrass career began when he joined the Stanley Brothers in 1964. At that time he was playing in a local band in Middletown, Ohio: "Irvin MackIntosh and His Band" and a friend of him, banjo player Wilbur Hall, was acquainted with Moon Mullins - who had just arrived to Middletown - and Hall told Mullins about Sparks. Mullins, who knew the Stanley Brothers, recommended Sparks to them and he was hired after an audition. An extensive tour followed and he recorded for the first time in 1965 for a small label in Dayton, Ohio. Sparks, left the Stanley Brothers in October 1966 to perform with Roy Lee Centers' band in Dayton. In December 1966, Carter Stanley of the Stanley Brothers died and Ralph Stanley was in need of a guitarist to replace Carter. Stanley came looking for Sparks and he was hired on February 7, 1967. "Ralph Stanley and His Clinch Mountain Boys" consisted of Ralph Stanley-banjo, Larry Sparks-guitar, Curly Ray Cline-fiddle and Melvin Goins-bass. Sparks moved to Clintwood, Virginia and got married. With Ralph Stanley, Larry Sparks recorded the original versions of modern bluegrass standards including "I Only Exist", "Sharecropper's Son", and "Going Up Home To Live in Green Pastures". In late 1969, he left the "Clinch Mountain Boys", formed the "Lonesome Ramblers" and began recording for Pine Tree Records. The first version of the "Ramblers" comprised Larry Sparks, David Cox, Lloyd Hensley, Joe Isaacs and Larry's sister Bernice Sparks. After Pine Tree Records he went to Old Homestead Records and then to Starday Records before moving to the bluegrass label Rebel Records in 1977. Over the years, his band has undergone numerous personnel changes. Banjo player and tenor singer Dave Evans has been one of the "Ramblers" most well-known members.